Welcome to the User Manual for Intego Personal Backup X9, Intego's program for backing up and synchronizing data, and for creating bootable backups of a Mac OS X startup volume. Use the Table of Contents below to go to the different sections of the manual. For information about installing Personal Backup and updating the program with Intego NetUpdate, see the Intego Getting Started Manual. What Happens When You Click Start Now? 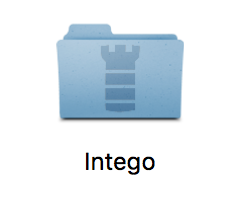 Intego Personal Backup is a comprehensive backup solution for Mac OS X, protecting you from data loss by making copies of your documents, applications, and system files onto external media. Intego Personal Backup can also synchronize data between two computers (such as a desktop Mac and a MacBook or MacBook Pro), or create a bootable backup of your entire Mac OS X volume. And, of course, it restores files to your computer as easily as it backs them up. At its simplest, backing up files with Personal Backup requires dragging and dropping a couple of folders and clicking the Backup button. For more complex tasks, Personal Backup's advanced mode lets you create backup tasks that perform multiple actions, and that can run on predetermined schedules. Mac OS X 10.8 or higher; Personal Backup X9 is fully compatible with Mac OS X 10.8 Mountain Lion and higher. For information on installing and serializing Personal Backup X9, see the Intego Getting Started Manual. For information on using NetUpdate, see the Intego Getting Started Manual. To get information about your copy of Personal Backup X9, choose Personal Backup X9 > About Personal Backup X9. It gives information about Personal Backup X9, such as the version number, your serial number, and a clickable link to Contact Support. Remember to deauthorize your Intego software if you sell one of your Macs and wish to use the software on a new device. A Backup copies specific files and folders, or the contents of entire volumes or hard drives, from one location to another. The location that contains files at the beginning of the process is called the source; the one receiving the copied files is the destination. To keep the backup files safe, the destination files should be stored and never modified, and should be on a different storage device from the source. For example, you might back up files from your MacBook onto an external hard disk that you keep at home: then, if the MacBook gets lost or stolen, you still have copies of your files on the hard disk. A Bootable Backup copies a volume with Mac OS X on it to a second hard disk so the new location can act as a startup disk. The bootable backup process creates an exact duplicate of the source, so the destination can function exactly as the source. If you have a system problem on your Mac, you can connect the backup disk, restart your Mac while holding down the Option key, select the backup disk and start up your Mac. You can copy all the user files on your Mac to a safe location, then "restore" the bootable backup to your Mac by performing a bootable backup in the opposite direction. You'll then be up and running without having to reinstall Mac OS X, its system updates, and your own applications. Synchronize twins a source's contents so both the source and destination are identical. The first time you run a synchronization, Personal Backup may copy many files to ensure that both the source and destination contain the same elements. But after that, only those files that are changed on one side are copied to the other side, and, by default, items removed from one side are deleted from the other. Since you may update some files on, say, your desktop Mac and others on your laptop, a synchronization can keep both of these Macs up to date with the latest versions of each file. Changing file A on your desktop Mac and file B on your laptop means that, when synchronizing the two Macs, file A will be copied to the laptop and file B to the desktop Mac. The result is that the source and destination are always maintained as exact duplicates of each other. Restore is the opposite of backing up, and is usually performed when source files have disappeared or become damaged (or when you've accidentally deleted some). You copy files from the destination disk back to the original source. (In our example above, these files would go from the external hard drive to your MacBook.) Of course, these files will only be current as of the last time you performed a backup: if you've modified those files since then, that subsequent work will be lost - hence the need to make regular backups. Source: Which files will I back up? Destination: Where will these backup files be stored? Schedule: When and how often will I perform these backups? Archives: How long will I keep backup files? If you can't make up your mind right away, don't worry: you can have several backup strategies running concurrently. For example, you might decide to make daily backups of important business files that are then delivered to an offsite location (such as a safe-deposit box) once a week. On the other hand, perhaps you consider photos and videos of office renovations much less important, so you back them up only once a month to a server in the office. Two criteria help you make decisions regarding which Source files to backup: the files' importance, and the amount of space available for backup. If, for example, you have a 250 GB hard drive in your MacBook, and a 1 TB external hard drive available for backups, your decision is easy: back up everything, since there's no reason to save a few gigabytes when you have so many to spare. If you're short on space, your decisions are more complicated. Which files will cause the most inconvenience if lost? Which are irreplaceable? For most people, personal and business documents come first; think of all your family photos and videos, and any music you've bought by download, as well as any tax records, accounting software files, receipts in electronic format, and your e-mail. Then, if there's additional space, applications and system files are important. On Mac OS X, most of your personal documents are stored in the Documents folder of your home folder. But if you have room, don't forget the Pictures, Movies, and Music folders! These are also in your home folder, next to your Documents folder. The Destination for your backups could be on the same device as the source, although we recommend you use an external device for all backups except the most casual (and insecure). The problem with the source and destination existing on the same device is that a problem with that device (such as a hard drive crash) could easily destroy both your originals and your backups, leaving you with nothing. Instead, we recommend you make backups to another device, such as an external hard drive. (Note that high-capacity external hard drives are relatively inexpensive.) To save space (and copying time over a network), Personal Backup can make incremental backups that replace only those files that have changed or been created since the last backup. We recommend you take the total size of your source files and budget at least twice as much space on your destination disk. This ensures that there is enough room for the many files that change from one backup to the next. If you are merely making a clone of your hard disk, however, you can use an external hard disk that is the same size as your internal disk. Your backup Schedule depends on how often you change the original files. Ask yourself this: how long will it take to recreate changes made to lost files? For example, let's say you start working intensively on a file at 9 am. If you lose it due to a crash or power outage at noon, you'll probably need three hours to restore the file - if that's even possible. To ensure that you don't lose such data, you should regularly back up your files. For critical data, a backup of working files to external media (or a network location) every few hours is wise, and for professional documents, you may want to run hourly backups. Then, complete daily or weekly backups provide additional protection to cover all files, whether you have worked on them or not. Again, scheduling decisions will depend on the amount of space available on your destination device. If you have plenty of space compared to the total size of your source files, and are able to perform backups conveniently, there's no reason not to do them every day. Consider how long you'll want to keep Archives of your backups. A financial-services company might be required by law to retain computer data for several years: such a company would want to ensure that it always has a definitive copy of each file stored away in case auditors come around. However, it probably won't need to access those old files frequently, or at all: therefore, it would probably store them in a compressed format (to save space), at an offsite location. On the other hand, home users might want to make backups only to ensure that they can recover the most recent versions of their files, not caring about older versions. For them, the best solution might be to back up their Macs to external drives, automatically discarding old versions as they go. Finally, it's a good idea to create a bootable backup of your Mac OS X startup volume on an external hard drive in case you suffer major disk problems or cannot start up your Mac for other reasons. Then, if problems occur, you can restart your Mac from this disk and get to work immediately. In any case, you should develop a backup strategy that corresponds to the way you work-and perform regular backups. There are three advantages to using tasks. First, they ensure that you back up the same files, in the same way, every time; second, tasks can trigger actions from other programs and Mac OS X; third, Personal Backup lets you schedule tasks to run periodically without requiring your attention. Navigate to your Applications folder in the Finder, then, double-click the Personal Backup icon. Or, from the Intego menu, choose Personal Backup > Open Personal Backup…. If you haven't created any tasks already in a previous version of Personal Backup, the first time you launch the program it displays a window with three default tasks, a backup, bootable backup, and a synchronization task, none of which have source, destination or options defined. Do the same for the backup's destination. The window will now highlight which folder you intend to back up, and where they're going. Personal Backup will back up all the files from the source folder to the destination folder or volume, except for those you don't have permission to copy. That's it! You now have a spare copy of all files in the source, ready in case any of the original files disappear. But Personal Backup does much more than the simple backup described here; the next chapter details all the options that give it the power to satisfy everyone's backup needs, from the single-Mac home user to the corporate administrator of thousands of computers. Indication of the source of files to copy and their destination. Options that control such matters as when a backup will run, what happens before and after it runs, what to do with duplicate files, and so forth. To create a second task, click the 'Add new task' button. You can also choose File > New Task from the menu bar, or press Command-N on your keyboard. We've chosen a Backup task, which results in a new task named "Backup". If you do the same thing again, you'll notice a second task underneath the first one, titled "Backup 2". Depending on your Mac's screen settings, you might not see the tasks's full name. But you can fix that if necessary. First, hover the cursor over the vertical dividing line between the list of tasks and the rest of the window. You'll know it's in the right place when it turns into a thick vertical line with two small arrows on either side. Then, drag it to the right until you can see all your tasks' full names. Let's say you want to delete that second task. Right-click or press the Control (Ctrl) key while clicking the task's name until a menu appears, then choose Delete. In either case, a dialog box will ask you to confirm your choice. Now you have just one task called "Backup." To change this, click its name in the left column, then type in its new name. Once you hit the tab, enter, or return key, it will reflect the new name. You set up synchronization and bootable backup tasks in exactly the same way as backup tasks, although with different default names, icons and tabs to help you differentiate them. So now you have one or more tasks set up and named: the next step is to determine which files will be copied, and where they'll go. The process is similar for backups, bootable backups, and synchronizations; however, there are enough differences among them that we'll look at each separately. As used here, a "source" is the location of files to be backed up, put into a bootable backup, or synchronized. A "destination" is where copies of the files will go. Backups are the most flexible in terms of sources and destinations. You can define multiple backup sources, for example to duplicate the contents of several folders, or even several network volumes, to one destination. Backup sources don't have to be on computers running Mac OS X: in fact, they don't have to run any operating system at all. That means you can back up from an external disk, network volume, memory stick, iPod, or any other Mac OS X-readable medium in addition to computer drives. Further, you can back up to any Mac OS X-writable medium. You can synchronizefrom any folder or volume to any folder or volume. But unlike with a backup, you can't synchronize individual files, or synchronize from multiple sources. Dragging and dropping items from the Finder to their locations in Personal Backup. Using the Connect to Server... and Select Other... options that appear in the source and destination areas of Personal Backup's main window. These two options are discussed in further detail below. First, enter an address. This can be a local address (such as iMac.local), which you can find in the Sharing pane of System Preferences on the Mac you want to mount; a Windows share (such as smb://servername); an FTP or SFTP server, identified by its address (ftp://example.com, or sftp://example.com); or a network volume on a remote computer, identified by its IP address. In each of these cases, you must enter a full address, including any volume and/or folder name. You can add any type of network volume that you can mount in the Finder: in fact, in most cases, the easiest way is to mount the volume in the Finder, then drag its icon onto the Address field in the above dialog. If you check Connect as, and enter a name and password, Personal Backup will not prompt you for this information when running its task. You can search from Finder for a source or destination for your tasks. To do this, click Select Other... you'll see a window where you select an item or search from Finder. You can use the 'Keep items selected' box to select files and folders from several locations when choosing a Source. This option is not available for Destinations. In this window, choose a name for your disk image and select a location by clicking Where. When you run the task the first time, Personal Backup creates the disk image. Each subsequent time, Personal Backup mounts the existing disk image if it is in the same location. If you move it, though, Personal Backup will create a new disk image with the same name, so you should make sure to leave the .dmg file in the appropriate location. Personal Backup doesn't ask you to choose a size for the disk image; Personal Backup determines the appropriate size. If you run a subsequent backup, Personal Backup enlarges the size of the disk image if necessary. You therefore don't need to worry about how big it is. Note: Personal Backup will automatically choose to create a disk image for Backup tasks when needed. Once you've chosen a source or destination, you can change it by clicking another option. Options vary depending on whether you're working on a backup, bootable backup, or synchronization. A backup source can be pretty much anything. You can create a task that backs up a single file, a folder, a volume, or entire drive, or combinations of any of these, spread among multiple devices. Edit the current choice by clicking the Edit Settings button, then selecting a new choice. Add an additional source by choosing Select Other... checking the Keep items selected box and selecting the desired source. A single location - a folder, volume, or drive - on any Mac OS X-writable medium. Same as backup source, except that Keep items selected is not available. A single folder, volume, or drive, on any Mac OS X-writable medium. Same choices as backup source, above. A single folder, volume, or drive, on any sort of Mac OS X-writable medium. Same choices as synchronization source. Shows all volumes that contain a bootable copy of Mac OS X. Shows all currently mounted volumes that are capable of containing Mac OS X, plus the option ASR Disk Image, which creates a single file that contains the full contents of the bootable backup's source. This file is portable, and can be used to produce multiple copies of the source disk, for example to standardize the contents of all Macs on a network. Obviously, a bootable backup's destination can't be the same as its source. If you attempt to make them the same, Personal Backup intelligently changes the previously chosen one so they're not the same. To export a task, click it in the task window, then either choose File > Save As… or press Command-Shift-S.
Name the task and choose a location for the file using Where. Click Save when finished. To import a task that's been exported, whether from your copy of Personal Backup or someone else's, double-click the tasks's icon in the Finder or drag and drop it into Personal Backup. Exported tasks are plain-text XML files that store all the tasks's options, including the locations of sources and destinations. If you move the task to a Mac that doesn't have the source or destination in the same location, the task will open but not run. At this point you know how to set up Personal Backup tasks to create backups, bootable backups, and synchronizations; how to show which files should be backed up; and how to transfer them among Macs where Personal Backup is installed. You can run any of these tasks by clicking the one you want in the top menu and selecting Start Now. But Personal Backup gives you much, much more control over operations than you've seen so far, through Task Options. How do you want to back up?. Each of the three task types - backup, bootable backup, and synchronization - offers a set of choices specific to that task. These involve the number of backups to keep; what to do when a file has been changed on both the source and the destination disk; and so forth. How often you want to back up?. You can make a task run periodically. Schedules can have several parts, so for example you could direct Personal Backup to run a backup every Monday and Wednesday at 5pm, or on the first of every month. Before starting. You can set Personal Backup to run another program before starting its task. You can direct Personal Backup to run any program, including a custom AppleScript that, in turn, runs several other programs. The Permission section asks whether you want Personal Backup to copy only those files that you have permission to read, or whether it should use administrator authority to copy all files. To copy all files, you must enter a user name and password belonging to someone with administrator-level permissions. To determine who that is on your Mac, choose System Preferences… from the Apple menu, and open the Accounts preference pane by clicking its icon: users with such power will have "Admin" under their names. Do not copy files if. Personal Backup has selectors that give you wide-ranging control over which files are copied. You can choose to back up (or not back up) files based on their visibility, name, kind, path, size, date created, date modified, label, or any combination of these criteria. After running. Like the Before starting option, After running lets you direct Personal Backup to run a program (or AppleScript) after the task is finished. It also lets you choose whether to run another Personal Backup task. Each set of options shows up in its own section at the bottom of the task's window. But you don't need to specify any of these options: if you don't, the task will simply run using Personal Backup's default options. You can run a Personal Backup task at any time by pressing the Start Now button in the main window. But much of the convenience of backup and synchronization operations is in setting them to run periodically, without your intervention or attention. For example, you might want a backup task to run automatically whenever you plug in an external hard drive, or synchronize two computers whenever they're on the same network together. Schedules make this possible. To access Personal Backup's Schedule options click the appropriate option in Personal Backup's main window. If you choose Other... , the Frequency options display. Minutely: Select the number of minutes. Hourly: Select the number of hours. Daily: Select the time of day. Weekly: Select the day of the week, and the time on that day. Monthly: Select the day of the month, and the time on that day. When Volume is Connected: Automatically starts the task when the specified volume is visible to your Mac - for example, whenever you connect to a network, or turn on or plug in an external hard drive. Except for your Mac's startup drive, all volumes that are given as sources or destinations for this task are available; if both the sources and destination are on your Mac's startup drive, this option will not be available. Wake up computer if needed allows you to put your Mac in its power-saving "sleep" mode, yet still be confident that Personal Backup will perform its scheduled task. Once the task is completed, the computer will remain on. Keep computer awake during task allows you to prevent the computer from going to sleep during a scheduled task. To access Personal Backup's preparation options, click the Change... button under Advanced settings. To access Personal Backup's Exceptions options click the Change... button under Advanced settings. The first menu let you specify whether you want to not copy items matching any of the conditions you give, or all of them. For example, changing this selection could make the difference between not copying files with "cache" in their names, none of them, or those files together with others. The next section lets you specify the type of information that you want the filter to find. The choices are: Name, File Size, Created (i.e., the date the file was "born"), Modified, Labels, Hidden, Kind and Item. After choosing one of these, you'll have the opportunity to specify filter details. Clicking the + button at the right of the window adds an additional condition, while clicking the - button next to a condition removes it from the list. You can also modify filter conditions by simply changing their popup menu options or typing new data into the data fields. This section defines how many versions of copied files you wish to keep. (The Backup Decisions section of this manual will help you decide the best strategy for you.) By default, Personal Backup saves all old versions of your files until your backup disk is full, after which it deletes the oldest backups in order to have enough space for new ones. However, you can choose to save only a specific number of old versions based on file size. If you select: Create a carbon copy of the files to save, Personal Backup will overwrite files on the destination when they are newer than the source and remove files from the destination when they do not exist in the source. Do you want to keep multiple versions of some files? : This option lets you keep multiple copies of older versions of your files in your Bootable Backup. A synchronization coordinates the files contained in two folders or volumes so they both have the same versions of all files. The question arises when the same file has been changed on both the source and destination volumes: which one should be copied? The synchronization window lets you decide. What to do when unsure of the action to perform? Displays a window whenever it encounters a file that's been changed in both places. You can show the file in the Finder by pressing the Reveal in Finder option. Select a Default Behavior allows you to change the action to something other than Ask, such as Pick newest or Pick from. Click the Continue button when you have made your decision. If you make no choice within 60 seconds, Personal Backup will act as though you clicked the Decide Later button. Personal Backup will always copy the version that was changed most recently. The Pick From options let you choose one of the two sources to be used for all operations. Personal Backup will always use the version of the file from the chosen location when a conflict occurs. So now you've set up your synchronization task. But what, exactly, will happen? How many files will be copied? In which direction? What if you want to make a temporary exception? With its Preview function, Personal Backup answers all these questions. Click your synchronization task in the task list, then click the Preview button at the right of Personal Backup's main window. The left column shows the name of the file or folder to be copied; the center column shows what will happen to it; and the third column shows where the item will end up in the destination location. Depending on which options you selected, your Mac's screen might be too small to see everything. You can change the width of columns to better see those that are most important to you. To do so, hover your cursor over the line to the right of the column head you want to expand or contract until it turns into a "double-arrow" cursor. What if you see an item that you don't want copied? Of course you could create a rule in the Exceptions (see Exceptions in the Personal Backup Task Options) section), but Personal Backup gives you a much faster way to make individual exceptions: simply click the action for that item in the Action column: you'll see a popup menu, from which you can choose to Remove, Copy, or Ignore the file in question. Once you've confirmed that the synchronization task will go as you like, you can run it by pressing the Continue button, or go back to the main window by clicking the Stop button. To access Personal Backup's Postprocessing options, click the Change... button under Advanced settings. What Happens When You Click "Start Now"
At this point everything's set: you've chosen which files to copy, what Personal Backup will do with those files, how it will handle exceptions, and what it will do before and after the task is complete. Now it's time for action! To run a task, click it in the left column, then click the Start Now button on the right side of the window. For the most part, Personal Backup will run without your intervention: once a task's scheduled time arrives, or you press the Start Now button, the program does exactly what you directed, every time. Personal Backup provides ways to inspect a backup or synchronization before, during, and after it has run. The Preview button shows you exactly which files will be copied for a synchronization; and the Show Details log keeps a record of past tasks, both successful and failed. A backup is useless without a way to recover lost files. Personal Backup's Restore function lets you choose not only which files to return to their original places, but which versions of those files to keep. (See Backing Up and Restoring Files for more on restoring files.) Of course, since it stores files in their native format, you can also just drag them from one folder to another in Mac OS X. A small icon also appears next to the task's name. Once preparation is complete, this icon changes to show that the task is copying files. At the top is a progress bar, showing how much has been copied, how much in total is to be copied, and an estimate of how much time the task will take to complete. Finally, you can stop a task at any time by pressing the Stop button. After a few moments, the main window will confirm that the task was successfully halted. To temporarily stop a task, press the Pause button. It will turn into a button labeled Resume, which you can click to continue the task where it left off. If you let a task run to its conclusion, you'll see a confirmation in the main window for Last Execution. If Personal Backup encountered any problems, such as a file that couldn't be copied for some reason, the icon next to the Last Execution will also change to a red button, which will remain until the next successful run. Two additional buttons appear in this window. The first, Show Details, lets you review what just happened (and the success or failure of past tasks). Click the Edit Settings button to continue working with your Personal Backup task. Click the Show Details button in the main window. A window appears, listing every time your task has run. The left column shows when the task started; on the right, its result. The list is sorted with the most recently run task at the top. Clicking any line in the left column displays some details on that task. Name the task file and select a location. Click the Save button when finished. To remove entries from the log window, first right-click them and choose Delete, or press the Delete key on your keyboard. For backup tasks, there are several ways to replace the missing items. The most obvious is to simply copy them in the Finder: unlike some backup programs, Personal Backup stores files in their Mac OS X-native file format. However, this plan only works if you know which files are missing or out of date, and where they are. Often if one file is missing, several are, and it's very easy to miss important files when you copy them one by one from various locations in the Finder. A faster and more-thorough method is to use Personal Backup's Restore function, which you access by first clicking the Restore tab at the top of the main window and then select the task that created the files you wish to restore. Then by either choosing File > Restore from Destination... or clicking the Restore button at the bottom-right corner of Personal Backup's main window. You'll see a window that shows a list of past tasks in the left column, and the files affected in the main section. The most-recent run is at the top, and is selected by default. However, you can choose any of the tasks's past runs by clicking it from the top of the main window: the contents of the main window will change to reflect files affected during that run. At first you'll only see the task's top level, in this case the folder labeled Canon T1i dump: click the disclosure triangle at its left to reveal all the sources that are part of this task; click again to display its contents. To restore items from a previous backup, simply click the desired item and either click the Restore button in the window's lower-right corner, or hold Control while clicking the folder and select Restore…. (The other option in the contextual menu, Reveal in Finder, will display that item on the task's destination volume-that is, the volume from which you'll retrieve the backup copy.) In the example below, we're restoring the contents of the entire backup. After indicating where you want Personal Backup to put the restored files, you'll see a progress bar that shows how long the process will take. If you choose the top-level folder (i.e., the name of the task), your files will be placed at the location you chose in a folder labeled with the task name. Note: if you have deleted a task, you can still restore items from its backup folder. To do this, choose File > Restore from Destination or click the Restore Other... button in the left column, then select the top-level folder containing the backup you wish to restore. Since Personal Backup writes an invisible file containing backup information at this location, you will then see a restoration interface, such as that shown earlier. You can proceed with the restoration as explained above. To leave Restore mode, click any other task option from the top of Personal Backup's main window. The Restore function isn't available for synchronization tasks; if you need to recover files that were deleted on your source but exist still on your destination, you should do so manually, by copying them from the destination back to the source. Bootable backup tasks don't offer the Restore function, as their purpose is to create a precise copy ("clone") of a computer volume. To restore a bootable backup, run a new bootable backup in the other direction: choose your destination as the source, and the source as destination. To access the program's preferences, either choose Personal Backup > Preferences…, or press Command-comma. A window will appear, showing the preferences. Notify when schedule has not been executed in __ days: Personal Backup can remind you when you have not backed up your files recently. By default, you will be reminded every two weeks (14 days). You can change this setting to any number of days you prefer. You can also disable this feature completely by unchecking the box. Send execution status by email to: You can also have Personal Backup send copies of the execution status to recipients of your choosing after a task completes. To do so, check this box, then enter the e-mail address where you would like to receive this information. Disable/ Enable Scheduled Tasks: Click this box to stop all scheduled tasks from running during your current computer session. This may be useful if you want to delay a scheduled backup while you work. Note: Personal Backup requires authentication to disable schedules. Type your password to allow this. Scheduled tasks will always be enabled when you restart your computer. You can also re-enable them from Preferences at any time.